We’re pleased to announce that we have appointed Musa Zaib as GlobelMoney new Director, effective immediately. 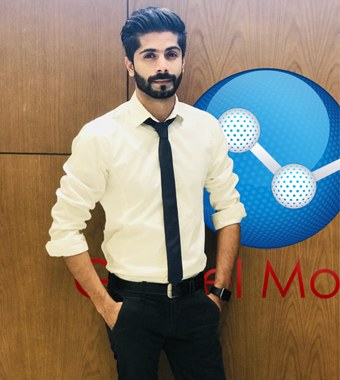 Musa The Managing Director of GlobelMoney will have physical appearance in Dubai office & follow responsibilities from Dubai office as Dubai seeks to consistently be ranked in Top 5 global centers for trade, logistics, tourism and finance and is internationally recognized as the leading financial and trading center at the heart of the world’s economy. as GlobelMoney offers a wide range of options to send and receive payments, through its leading global online money transfer business. Throughout Musa’s career development he has always shown success and positivity in every step he takes, staring from a very young age he has always invested his time and money wisely. With over 6 years’ experience within the business sector – including finance, customer service, sales and much more – he has become a role model for many others. His goal in life is to always be unique and different from the crowd, which is why he has shown outstanding results during his progression. Musa’s appointment is a clear reflection of the company’s current state: ready to take on the future and fired up after another strong years of growth and successful customers. GlobelMoney is poised for major expansion in the crypto currency exchange & virtual banking platform.